Scientists are using neutrino measurements to determine why our universe is made of matter rather than antimatter—that is, why matter outstripped antimatter in the beginning of our universe. The answer relates to a phenomenon known as CP violation. Neutrinos—omnipresent, hard-to-catch particles—could hold the answer. Searches for CP violation depend on comparing neutrino and antineutrino samples and looking for small differences. Large, unknown differences between neutrino and antineutrino reaction rates in a detector (which is made only of matter) would hide the presence or absence of CP signatures. MINERvA's new analysis reveals much about how well models do and where they fall short. 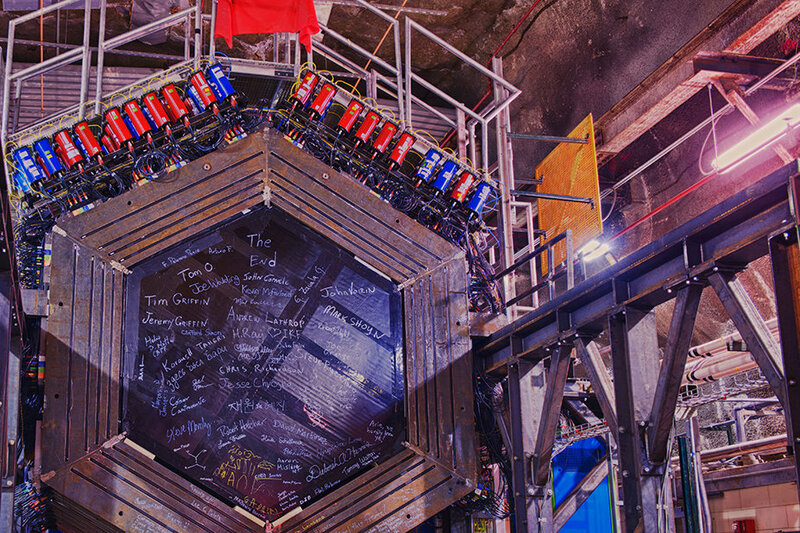 The team is converging on better models that describe both neutrino and antineutrino data. It is no secret that neutrinos change flavor, or oscillate, as they travel from one place to another. The amount they change depends on how much time they have to change. This time is directly related to the distance the neutrino traveled and the energy of the neutrino itself. Measuring the distance is easy. The hard part is measuring the neutrino energy. Experiments do this by measuring the energies of particles that are produced by the neutrino when it interacts in the detectors. But what happens if one of the produced particles, for example, a neutron, leaves barely any of its energy in the detector? Oscillation experiments have to predict how much energy is lost and then correct for that loss. These predictions depend on accurate models of how neutrinos interact. Those models have to be right not only for neutrinos but also for antineutrinos, which are particularly good at making neutrons. The MINERvA collaboration analyzed data from interactions of antineutrinos that produced positively charged muons. Scientists looked at both the momentum and the energy that was transferred to the nucleus in those interactions. By focusing on the kinematic region where only a neutron should be knocked out, they looked at the worst-case situation: Most of the energy goes missing. In this way, scientists directly measured the effects of an imperfect model for missing energy. 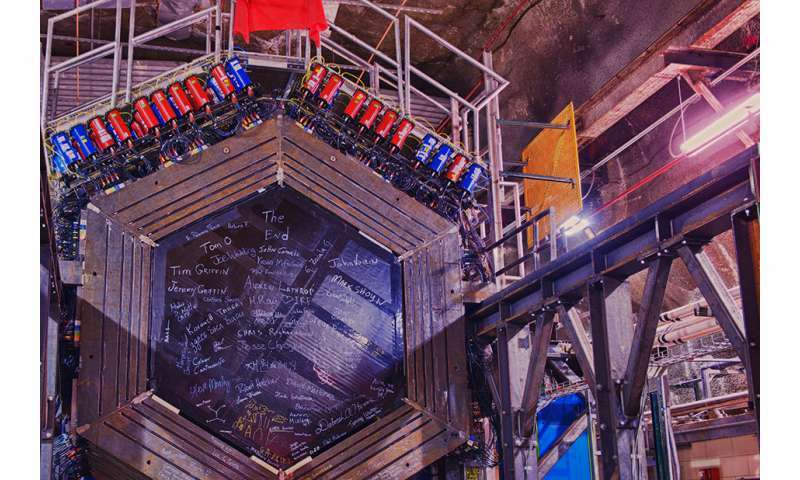 To appreciate why this new analysis of antineutrino interactions is exciting, we need to look back at a measurement from two years ago. That time, MINERvA measured neutrino interactions that produce negatively charged muons—interactions which are more likely to produce a proton than a neutron. A proton's energy is much easier to measure than a neutron's in a detector such as MINERvA. For neutrino interactions on a proton-neutron pair (rather than on only one of those two particles), scientists observed a much larger number of events than the state-of-the-art models predicted. Neutrino cross-section enthusiasts are never surprised when models don't describe data. So here is the surprise: When they used the neutrino results to change the antineutrino model to predict the antineutrino data described above, it worked.